Loudoun County, VA– The Loudoun County Sheriff’s Office (LCSO) was honored to be recognized today for a program that has been a fixture in Loudoun’s schools for over three decades. 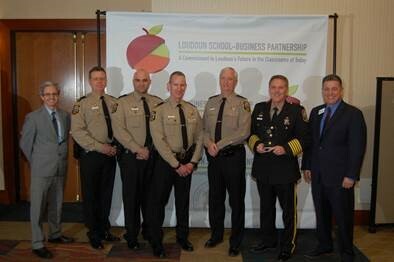 Loudoun Sheriff Mike Chapman accepted the Legacy Award for the agency’s Drug Abuse Resistance Education (D.A.R.E) Program at the 20th Annual Loudoun School-Business Partnership Breakfast. This award recognizes a longstanding partnership that has had a lasting effect on Loudoun’s students. The D.A.R.E. program has been taught by members of the LCSO to 5th grade students in Loudoun County schools since 1987. As part of Sheriff Chapman’s efforts, the program was expanded to the middle schools during the 2012-2013 school year. The expansion of the program came at no extra cost as the classes were taught by current members of the Loudoun County Sheriff’s Office School Resource Officer Unit who are assigned to county middle schools. Upon accepting the award, Sheriff Chapman noted the number of lives lost from the ongoing nationwide opioid epidemic and the efforts to combat fatal drug overdoses in Loudoun County. “The most important thing we can do is work with the children as a community, as a school system, and as a law enforcement agency to try and educate them to make the right choices, and to understand the potentially deadly consequences of drugs,” said Sheriff Chapman. Since 1987 the LCSO D.A.R.E. program has taught nearly 150,000 Loudoun County students, providing them valuable life-lessons, how to make good decisions, and how to get out of bad situations. The program continues to have a huge impact on our youth and maintains the strong working relationship between the Loudoun County Sheriff’s Office and Loudoun County Public Schools. 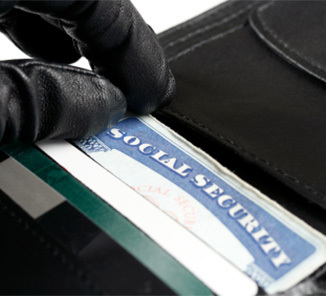 The agency’s unwavering support of the D.A.R.E. program brought national recognition to the Loudoun County Sheriff’s Office in 2017 when Sheriff Chapman was honored to accept the DEA/D.A.R.E America Law Enforcement Executive of the Year award on behalf of the LCSO. The award recognizes the LCSO’s extraordinary commitment to drug prevention and enforcement. Over the year’s members of the unit have been named the D.A.R.E. Officer of the Year, the D.A.R.E. Supervisor of the Year, and received the D.A.R.E. Lifetime Achievement Award from the Virginia D.A.R.E. Officers Association and the Virginia D.A.R.E. Training Center. As part of the LCSO’s continued partnership with Loudoun County Public Schools, the School Resource Officer (SRO) program was named one of the best School Resource Officers Units in the United States after receiving the National Association of School Resource Officers (NASRO) Model Agency of the Year Award in 2018. The Loudoun County Sheriff’s Office began the SRO program in Loudoun’s high schools in 1999. The mission of the Loudoun School-Business Partnership Executive Council is to promote the development and success of partnerships between the Loudoun County Public Schools and businesses to ensure that the students are prepared to contribute successfully to the ever-changing business and community environments. (Left to Right) Dr. Eric Williams, Superintendent of Loudoun County Public Schools, Sgt Matt Bressler, Lt. Robert Tricarico, Captain Tom Gilligan, Major Rudy Landon, Sheriff Chapman, and Tony Howard, President and CEO of the Loudoun Chamber of Commerce.